Dancing can benefit us in so many ways. It has been shown that dance lessons help to increase self-awareness and esteem by building confidence and providing a new form of expression. 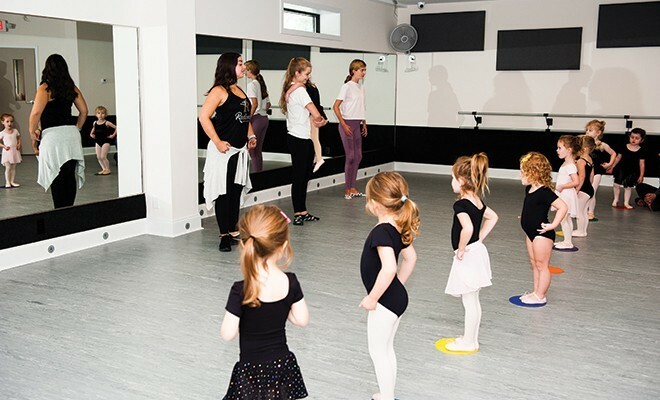 Interaction with other students of dance and with dance instructors not only broadens social networks, but provides opportunities to bond with peers at a time when everyone is learning new things. This builds communication skills and can lead to life-long friendships. And, of course, dancing is great exercise — a whole body workout while having fun! 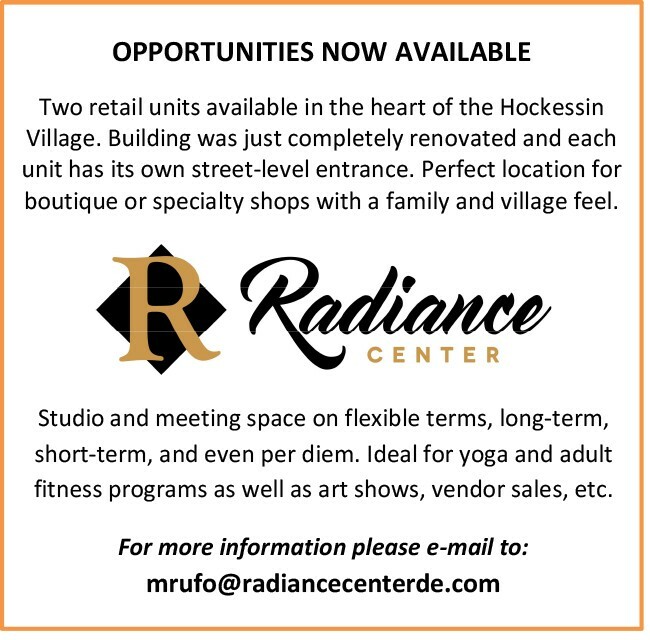 Located in the heart of the Hockessin Village in the beautifully renovated and historic Radiance Center (previously known as the “Lighthouse Building”), students enjoy the newest, brightest, and most advanced studio in the area. The facility includes studios large enough for high-energy choreography as well as smaller intimate studios for small classes and individual work. Parents and friends are free to enjoy the spacious lounge and use the free wi-fi while watching studio activity on large screen monitors. There are areas for warming up, cooling down, and even for doing homework before or in-between classes. 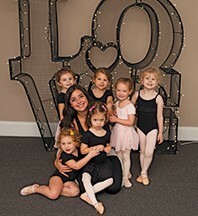 Radiance Dance Studio offers lessons in all dance genres including ballet, hip-hop, jazz, and lyrical for anyone age 3 to age “whatever” (yes, there are adult evening classes). 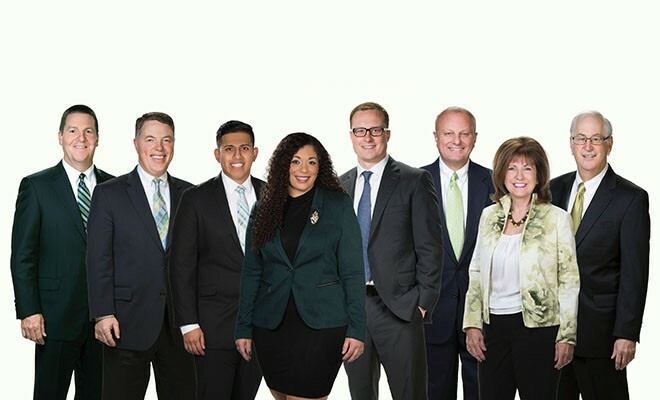 Special programs and clinics are introduced from time to time, and opportunities to perform will be worked into schedules as individuals are ready for that experience. The Studio is especially proud to offer classes for those with special needs through “Rhythm Works”, an integrative program tailored to meet individual needs in a comfortable and fun environment. Studio Owner/ Director, Emily Rufo (Miss Emily) has been dancing since age 4 and has studied all forms of dance. She has performed as a solo artist, in small groups, and in large production ensembles. She was on the University of Delaware Dance Team and a member of the “Delaware Dance Fever” dance company. Turning her love of dance to teaching and coaching, she has proudly served as Assistant Coach of the Neumann University Dance Team, Head Coach of the Delaware Military Academy Dance Team, and Head Coach of the St. Mary of the Assumption Cheer Squad. 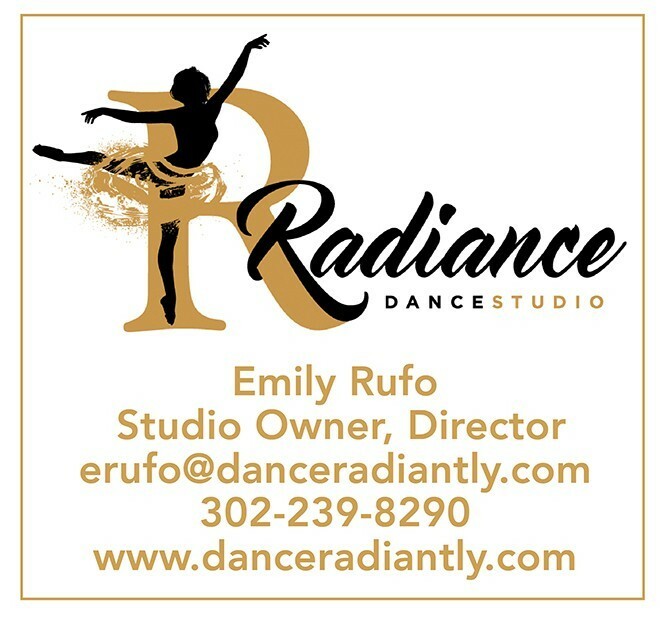 Miss Emily brings a fresh and energetic approach to dance instruction and is establishing Radiance Dance Studio as the premier center for dance instruction in the area. Because the focus is on each student as an individual, registration is on a rolling basis and is always open. 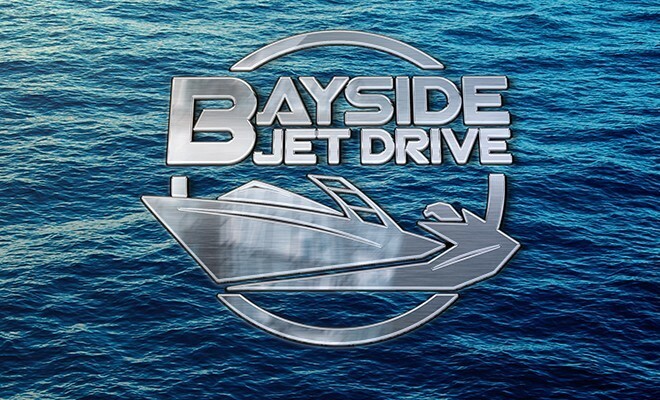 Personal individualized attention (including private lessons) is provided to integrate any student in to any class at almost any time. “Miss Emily is passionate about her work and wants all her students to succeed. She has helped me grow not only as a dancer but as an individual.” ~ R.C.